I just bought four in the FURY ROAD line at F.Y.E. today, they're pretty cool. Who else is collecting these figures? They have them for many movies and tv shows. I had to Google what they are. As far as collector figures go I prefer screen accuracy. Some of the stuff Sideshow and Hot Toys produce are amazing. These figures are super expensive and seem to sell out faster than limited edition soundtracks too. So it's a hobby for those with a lot of disposable income. You snooze you lose. I can't afford the hobby! I have a number of them (including most of the cast of Stranger Things)...they're cute, stylized, and inexpensive to collect (provided you get them before they go OOP). They sell these at a nearby truck stop.... no interest in them whatsoever. To be able to buy this I needed to stand in one line early in the morning for the chance to stand in yet another line later in the day, and then hope the figure you want isn't sold out by the time you finally get to a position where you can purchase from a Funko salesman. Once I saw how difficult it was, I quickly gave up on trying to purchase any of the exclusives. I did check back from time to time, but if you weren't in the early morning line you were out of luck. 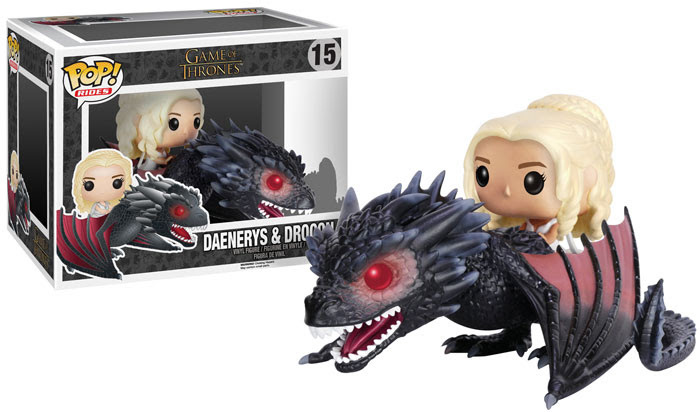 Well the "Daenerys rides Dragon" is adorable. Of course it's pretty expensive now, unless I want to get a knock off from Hong Kong. Just found Nux at Target! I'm only buying the FURY ROAD line. I still see that at Game Stop and Barnes & Noble for around $25 or so . Check around your area. Just picked up the Doof Warrior and Capable from FURY ROAD! I almost have the entire FURY ROAD line! I have all the Big Trouble in Little China and Alien Covenant ones. I think they look macrocephalically revolting.